Typically I’m not one for reblogging, but when this feature on the late Ophelia DeVore-Mitchell which was written by Margalit Fox and published in The New York Times on March 13, 2014 was brought to my attention I was compelled to share it with you. On the heels of the recent Fall 2014 shows the fashion community led by great champions such as Bethann Hardison still raised the question of the lack of diversity on the runway and in fashion. Thanks to the success of Italian Vogue’s “A Black Issue,” in July 2008 we started to see a shift in the industry. But without the late great Ophelia DeVore-Mitchell who was the first to bring the lack of diversity in fashion to global attention none of this would have been possible. Remembering Ophelia DeVore-Mitchell August 12, 1922 – February 28, 2014. Ophelia DeVore-Mitchell, a former model, agent, charm-school director and newspaper publisher who almost single-handedly opened the modeling profession to African-Americans, and in so doing expanded public understanding of what American beauty looks like, died on Feb. 28 in Manhattan. She was 91. Her death was announced on March 6, on the floor of the House of Representatives by Sanford D. Bishop Jr., Democrat of Georgia. At her death, Mrs. DeVore-Mitchell was the publisher emeritus of The Columbus Times, a black newspaper in Columbus, Ga., which she ran from the 1970s until her retirement about five years ago. Long before the phrase “Black is beautiful” gained currency in the 1960s, Mrs. DeVore-Mitchell was preaching that ethos by example. In New York in the 1940s — an age when modeling schools, and modeling jobs, were overwhelmingly closed to blacks — she helped start the Grace del Marco Modeling Agency and later founded the Ophelia DeVore School of Self-Development and Modeling. The enterprises, which served minorities, endured for six decades. The success of the agency, and the visibility of the school’s thousands of graduates, helped pave the way for the careers of contemporary black supermodels like Naomi Campbell and Tyra Banks. As an agent, Mrs. DeVore-Mitchell represented members of the first wave of black models to attain wide visibility at midcentury, among them Helen Williams, often described as the first black supermodel. She also represented a young model named Richard Roundtree before he went on to fame as an actor in “Shaft” and other movies. 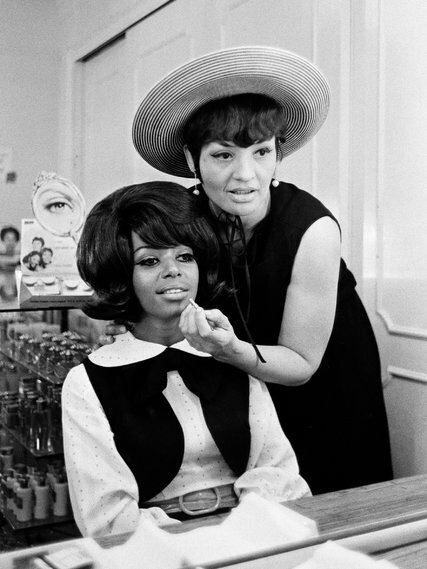 As a charm-school director, Mrs. DeVore-Mitchell taught dress, diction and deportment to thousands of students, including the future actress Diahann Carroll, the future television newswomen Sue Simmons and Melba Tolliver, and the future hip-hop artist Faith Evans. Besides tending to her pupils outwardly through classes like Wardrobe I, II and III; Social Graces; and Figure Control With Fencing and Ballet, Mrs. DeVore-Mitchell designed a curriculum to bolster them inwardly, offering a counterweight to the tradition of internalized self-hatred that was many black Americans’ legacy. In the late 1930s, when Mrs. DeVore-Mitchell began her career as one of the first black models in the United States, she found work partly by hiding her own heritage. But in her case, the hiding was done entirely through inadvertence. Emma Ophelia DeVore was born on Aug. 12, 1922, in Edgefield, S.C., one of 10 children of John Walter DeVore, a building contractor, and the former Mary Emma Strother, a schoolteacher. As a girl, Mrs. DeVore-Mitchell, whose family was of African, Cherokee, French and German descent, was educated in segregated Southern schools; she received additional instruction “in dancing, piano and all the other things in the arts that parents gave you to make you a lady,” as she told Ebony magazine in 2012. At 11, to further her education, she was sent to live with an aunt in New York. She graduated from Hunter College High School in Manhattan and went on to receive a bachelor’s degree in mathematics, with a minor in languages, including French, Latin and German, from New York University. 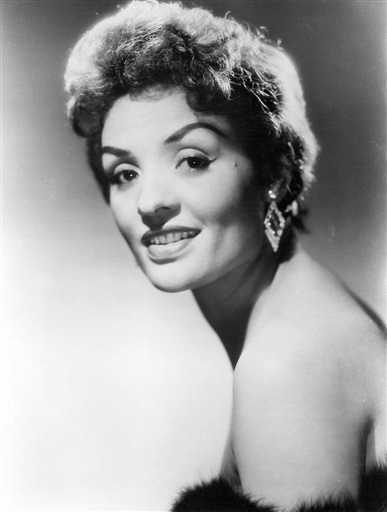 A beauty with wide-set eyes, Ophelia DeVore had begun modeling casually as a teenager. A few years later, seeking professional training, she enrolled in the Vogue School of Modeling in New York. It was only toward the end of her studies there, when the school refused admission to another black candidate, that she realized it had mistaken her, with her light skin, for white. Though a few modeling jobs came her way, especially once Ebony began publishing in 1945, she soon realized that the field remained largely closed to her — and utterly closed to darker-skinned models. In 1946, she and several friends founded the Grace del Marco agency. (The name was a coinage: “Grace” was a natural choice, “Marco” an acronym of the founders’ initials.) Two years later, wanting a training ground for black models, Mrs. DeVore-Mitchell established her charm school. One of the agency’s first great successes, starting in the 1950s, was Ms. Williams. Through a combination of Mrs. DeVore-Mitchell’s indefatigability, her considerable charm and Ms. Williams’s breathtaking luminosity, the agency placed her in campaigns for major advertisers — including Budweiser, Bulova and Johnson & Johnson — which appeared in mainstream publications like The New York Times Life and Redbook, feats without precedent for a black model. Mrs. DeVore-Mitchell’s most famous protégée, Ms. Carroll, who attended the charm school as a teenager, went on to stardom as a singer, a Broadway actress (she won a Tony Award in 1962 for her performance in the Richard Rodgers musical “No Strings”) and the title character in “Julia,” the NBC series about a young widowed nurse. Broadcast from 1968 to 1971, “Julia” is widely considered the first television series to star a black woman in a nonstereotyped role. Among her other accomplishments, Mrs. DeVore-Mitchell wrote a fashion column for The Pittsburgh Courier, a black newspaper; was a host of the ABC-TV program “Spotlight on Harlem” in the 1950s; was appointed by President Ronald Reagan to the President’s Advisory Committee on the Arts; and was featured in the 1989 book “I Dream a World: Portraits of Black Women Who Changed America,” by Brian Lanker. She was a longtime resident of Manhattan. Her first marriage, to Harold Carter, a New York City firefighter, ended in divorce. In 1968 she married Vernon Mitchell, the publisher of The Columbus Times; on his death in 1972 she took over the paper, dividing her time between New York and Georgia. Her survivors include five children from her first marriage, Carol Gertjegerdes, James Carter, Marie Moore, Cheryl Parks and Michael Carter; nine grandchildren; and 16 great-grandchildren. Her charm school, which had several names and several locations in New York City over the years, closed its doors — then in the Empire State Building — in 2006, as did the agency. Mrs. DeVore-Mitchell’s own modeling career lasted just a few years. But her work advancing the careers of other models, she often said, was far more vital.